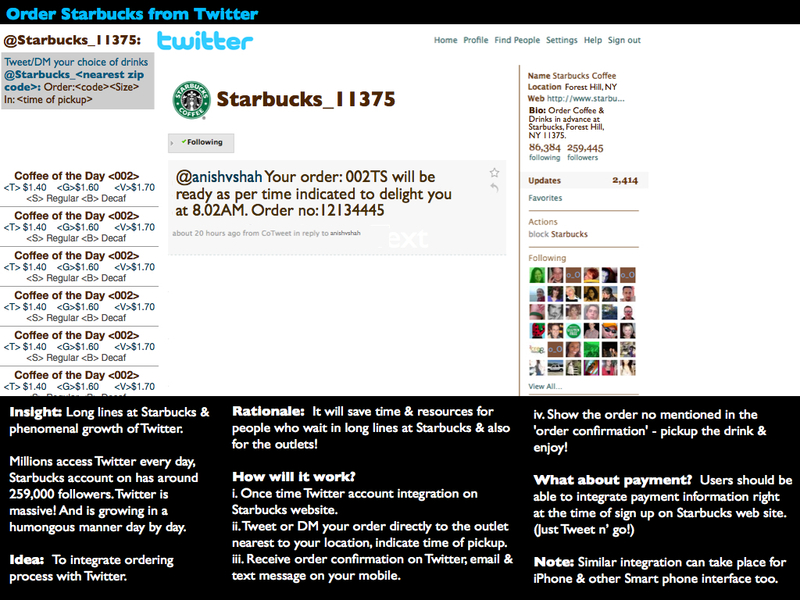 Here’s a very raw idea of ordering Starbucks from Twitter! I wish this happens in reality. Similar concept can be carried forward to other mobile interfaces like on iPhone, G1, Palm, etc. Will love to hear your feedback. See more ideas @ my idea lab. this is a very good idea… if we can also get the application to store favorites … we dont need to configure what to drink every morning. Just message every morning leaving from home… set the expected pickup time and have the drink ready…..
Yea! absolutely. It will be convenience at its best.